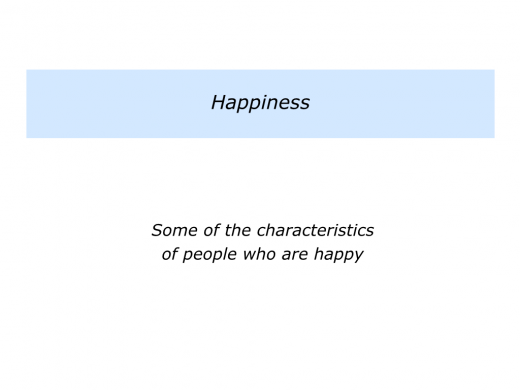 During the past 40 years many people have researched the topic of happiness. They have asked some of the following questions. 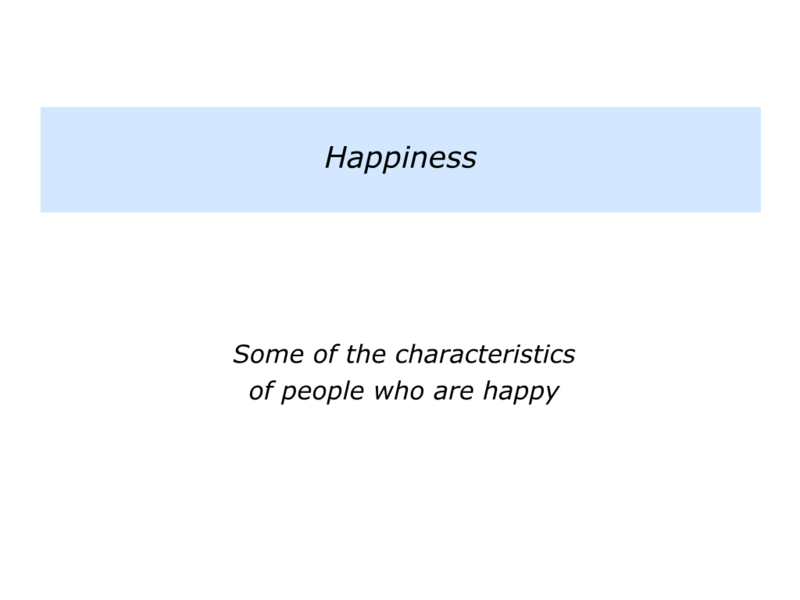 What kinds of people are happy? What are the principles such people follow to be happy? How can other people follow these principles in their own ways to maintain or improve their happiness? Here are some of the principles that have emerged. You will, of course, have your own views on themes that could be added. Let’s focus on the first quality that is mentioned. People who are happy often have a sense of gratitude. Such people count their blessings, rather than their burdens. They focus on what they can do, rather than worry about what they can’t do. This provides them with the strength to encourage other people. 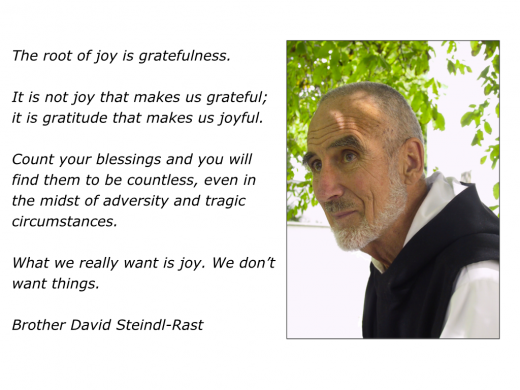 There are many exercises on gratefulness. One approach is to begin by recalling what you have been grateful for in the past. Here are some answers that people give on this theme. Being encouraged by my parents … Enjoying a happy childhood … Recovering from a difficult illness … Being helped to find my talents by a special teacher. Having forty years of health … Spending several years in a soul-destroying job, because this made me appreciate the satisfying work I did later in life … Meeting kindred spirits. Having an encouraging partner … Experiencing many joyful moments in sport … Not being good at school, because this encouraged me to learn in my own way. If you wish, try tackling the exercise on this theme. This invites you to describe the specific things you are grateful for having enjoyed or experienced in the past. 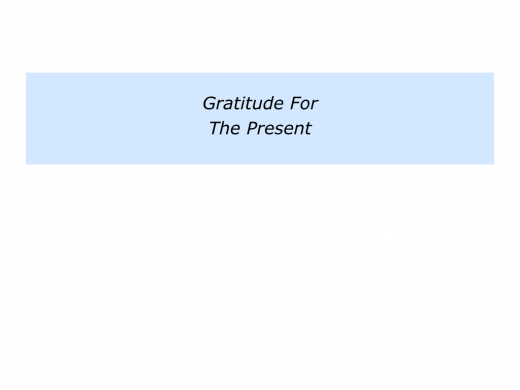 Robert Emmons is the author of Thanks: How the new science of gratitude can make you happier. Working with colleagues, he found that people who cultivated these qualities increased their sense of happiness. Robert enlarges on these themes in the following video. This can be found on the Greater Good website, which is based at the University of California in Berkeley. The Greater Good website has many more tools that people can use to develop their sense of gratitude. Here is a summary of some of the ideas that can be found via the following link. Research by Robert Emmons, happiness expert Sonja Lyubomirsky, and many other scientists has shown gratitude is one of the most reliable methods for increasing happiness and life satisfaction. It also boosts feelings of optimism, joy, pleasure, enthusiasm and other positive emotions. Gratitude puts situations into perspective. When we can see the good as well as the bad, it becomes more difficult to complain and stay stuck. It helps us realise what we have. This can lessen our need for wanting more all the time. Gratitude is good for our bodies. Studies by Robert Emmons and his colleague Michael McCullough suggest gratitude strengthens the immune system, lowers blood pressure, reduces symptoms of illness and makes us less bothered by aches and pains. Gratitude helps people to sleep better. They get more hours of sleep each night, spend less time awake before falling asleep and feel more refreshed upon awakening. If you want to sleep more soundly, count blessings, not sheep. It has been found to help people recover from traumatic events, including Vietnam War veterans with PTSD. 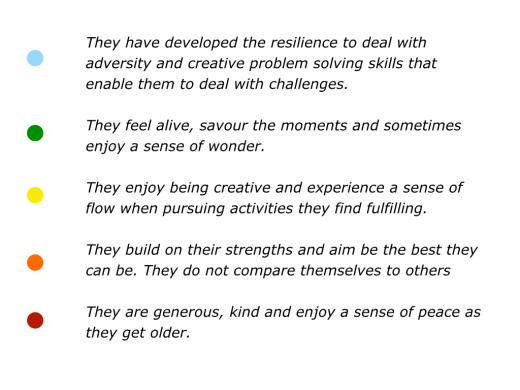 It also enables them to recall and build on their inner resources. It makes us feel closer and more committed to friends and romantic partners. When partners feel and express gratitude for each other, they each become more satisfied with their relationships. Gratitude is good for young people. When 10-19 year olds practice gratitude, they report greater life satisfaction and more positive emotion. 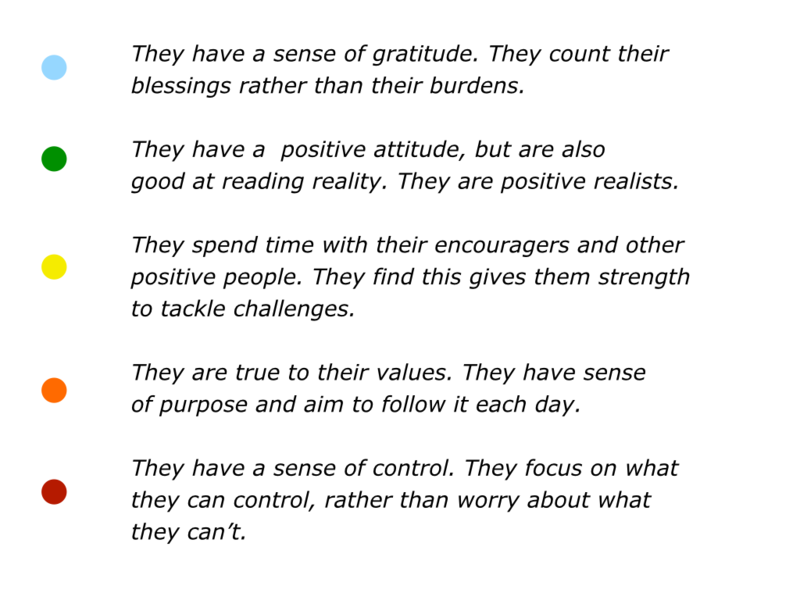 This can help them to have a positive attitude in the future. Different people use different tools for increasing their sense of gratitude. Some keep a Gratitude Journal in which they record the things they are grateful for each day. If you wish, try tackling the exercise on this theme. This invites you to describe what you are grateful for at the present time in your life. Barbara Fredrickson has done pioneering work that demonstrates how developing positive emotions can improve our lives. She explains that gratitude is one such emotion. Some people disagree with the exact ratio, but most agree that positivity can help people to grow. Barbara explains that this is more than simply being happy. And it certainly isn’t putting on a smiling face to grin and bear things. Let’s return to your own life and work. 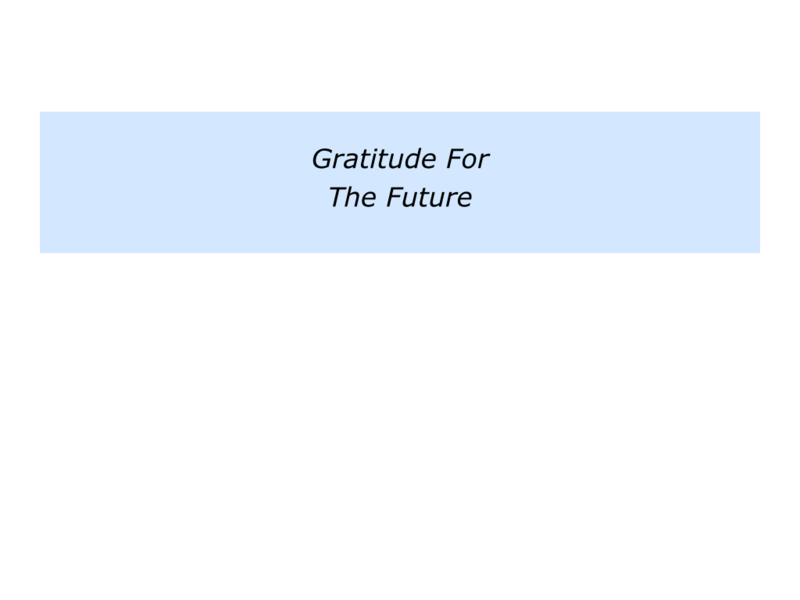 How can you continue to be grateful in the future? You may want to count your blessings, spend time with positive people, encourage others, build on your strengths, pass on your knowledge or whatever. These can help you to appreciate the simple things in life and give your best to other people. Describe the specific things you are grateful for having the opportunity to enjoy or experience in the future. 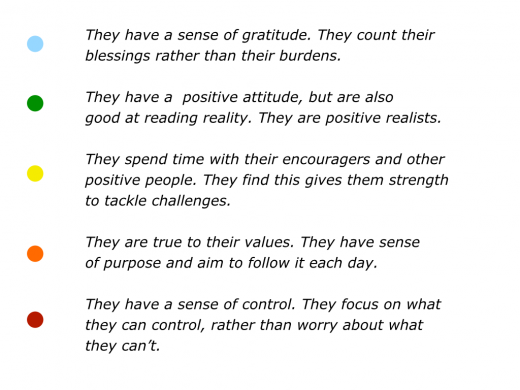 Describe the specific benefits of being grateful for these things.